Described as Martin Luther King Jr.’s “last great dream,” the Poor People’s Campaign of 1968 was an ambitious movement to make poverty in the world’s richest nation visible and to demand justice for poor Americans. 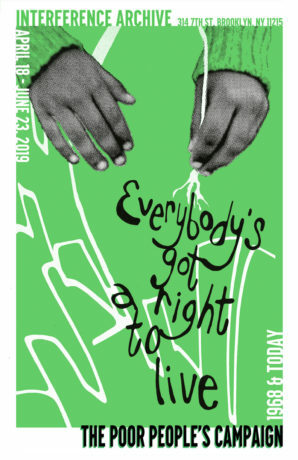 This exhibition provides a look at some of the visual culture of the original PPC, including photographs of marches and rallies, press coverage, and a contemporary public response to a mural in Resurrection City called the ‘hunger wall,’ in addition to showcasing the efforts of the new PPC and a portfolio of Justseeds posters created in solidarity with their actions. Radical Playdate presents: Let’s Make Posters! Join us for a session of stamp and stencil posters with (kid-safe and washable) stamp pads and spray markers. 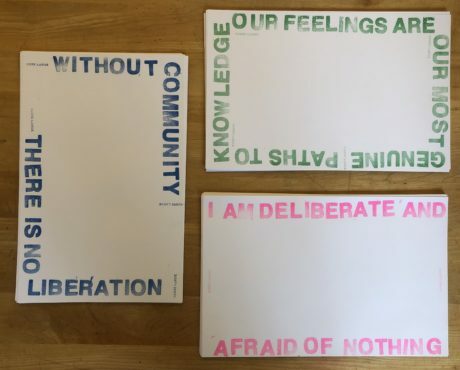 We’ll have poster prompts made with three fantastic Audre Lorde quotes to get our thought wheels turning. Join Interference Archive and local labor and housing activists fighting gentrification and displacement in Gowanus, Industry City, and beyond for a May Day! Propaganda Party. 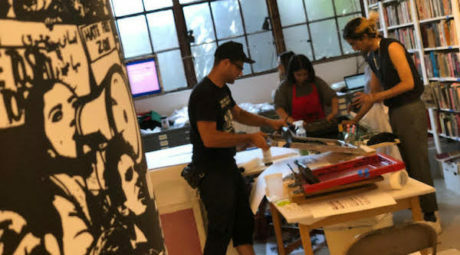 We’ll gather at Interference Archive to create posters, t-shirts, buttons, and more with messages promoting labor and housing justice and denouncing the displacement of local industry and residents from our community. Join us for a talk by activist Hamja Ahsan in conversation with Gemma Sharpe. Hamja talks about his debut book Shy Radicals, imagining a utopic homeland called ‘Aspergistan’, in the context of debates around introvert power, intersectionality, radical mental health, and neurodiversity. 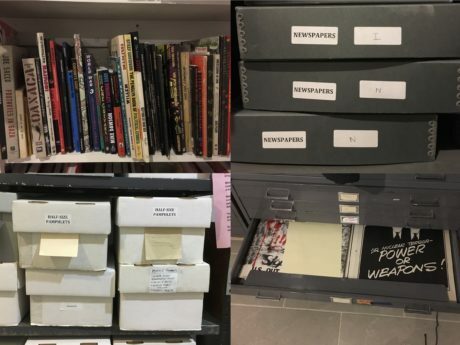 None of us volunteer at Interference Archive because we love accounting, but as tax season rolls around, we thought we’d share some of the numbers that we’ve pulled together to paint a picture of what it costs to keep this archive alive.